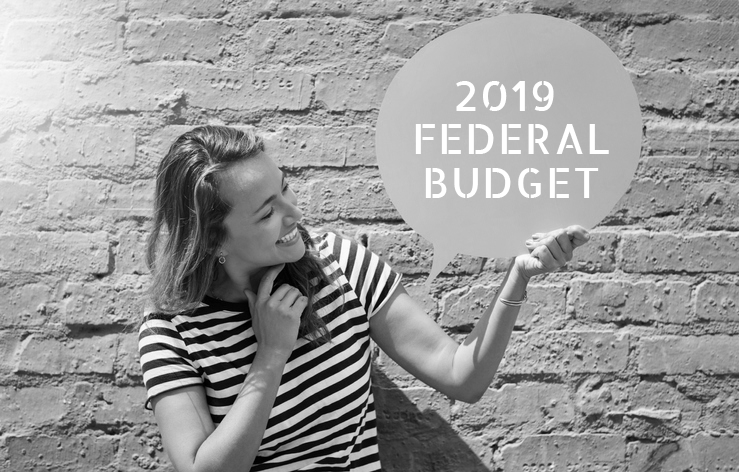 Rochdale - What do you need to know from the 2019 Federal Budget Release? The 2019 Federal Budget was released on Tuesday night. Here, we’ve summarised some business and tax points that you may need to know. Small to medium businesses have been identified as clear winners from the budget release. Increasing the instant asset write-off threshold to $30,000 (from $25,000) to June 2020 and expanding access to medium-sized businesses with an annual turnover of less than $50 million to help them reinvest in their business, employ more workers and grow. Around 3.4 million businesses will be eligible to benefit. – 1 July 2018 – 28 January 2019: less than $20,000. – 29 January 2019 – before 7.30 pm (AEDT) on 2 April 2019: less than $25,000. – From 7.30 pm (AEDT) on 2 April 2019 – 30 June 2019: less than $30,000. Fast-tracking the company tax rate cut to 25 percent for small and medium-sized companies with an annual turnover of less than $50 million and increases to the unincorporated small business tax discount rate. Up to 80,000 new apprenticeships over five years have also been planned. Taxpayers earning up to $126,000 per year are set to receive immediate tax relief — if the Coalition stays in government and it can secure the support of the Senate. The government will increase the low and middle-income tax offset, providing tax relief of up to $1,080 for singles or up to $2,160 for dual income families. The offset will be available for 2018-19, 2019-20, 2020-21 and 2021-22 income years. Individuals with taxable incomes up to $37,000 will have their tax reduced by up to $255. This will increase incrementally for those earning between $37,000 and $48,000. The maximum offset of $1,080 will be available to taxpayers with taxable incomes between $48,000 and $90,000. The offset then gradually reduces to zero at a taxable income of $126,000. The offset will be received as a lump sum on assessment after individuals lodge their tax returns – which for 2018/19 will be as soon as 13 weeks. Labor has been supportive of tax benefits for lower income earners, so this has a good chance of passing Parliament. More than 10 million Australians will benefit, though only 4.5 million will receive the full amount. High-income earners are also set to benefit under a separate change, albeit far into the future. All taxpayers earning between $45,000 and $200,000 could have their tax rate reduced from 32.5 percent to 30 percent. This is a handy tool to calculate your projected tax savings. From the 2025 income year, the 32.5% marginal tax rate will be reduced to 30%. This is in addition to changes already legislated for 2025, to increase the upper threshold of the (now) 32.5% tax bracket from $120,000 to $200,000 and abolish the 37% tax bracket. Super: Merging Fund – Government to make permanent the current tax relief for merging superannuation funds. Measures to increase the flexibility of superannuation arrangements for recent retirees around the work test, spouse contributions and bring forward arrangements. The ATO is investing more money in cracking down on sham contracting. That is employers wrongly calling their employees “contractors” despite making them follow rules and regulations like an employee. Have some questions about some of this may affect you?? Get in contact with us today and one of our tax specialists will be happy to help.